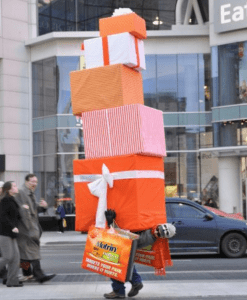 Guerrilla Marketing Ireland Will Love This Holiday Season! Guerrilla marketing Ireland, businesses and consumers alike will enjoy this holiday season?! Please Sir, I want some more! 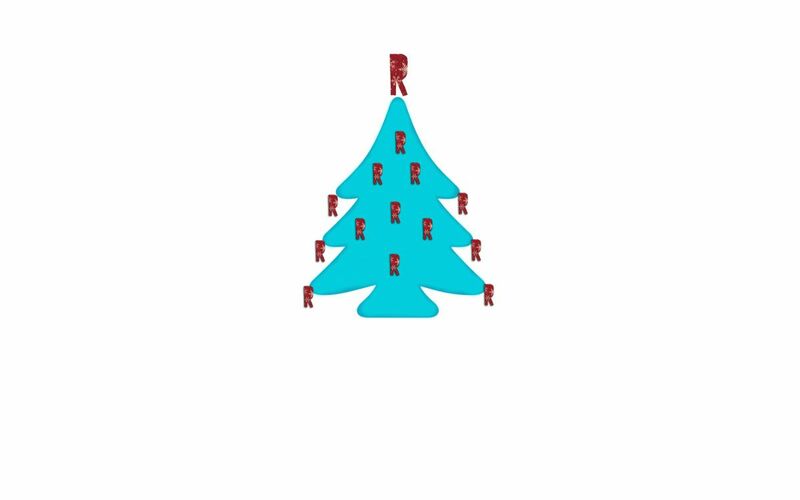 Well, enjoy yet another early Christmas gift from us here at Rogue… Yay! Merry Christmas! Everybody, top of your voices! (singing) IT WAS CHRISTMAS EVE BABE… INNNNNNN THE DRUNK TANK! A devilishly clever ambient display of advertising here. The agency fetishise the Mini Cooper as the ultimate ‘gift.’ The set up is a typical pile of post-Christmas boxes and wrapping. 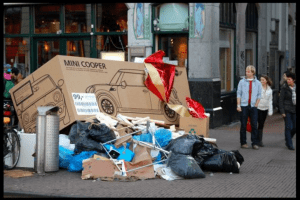 The Mini Cooper box really draws the eye in and commands the attention of passers-by over all the other waste clutter. A brilliant execution of Christmas guerrilla marketing Ireland’s consumers would really bounce off of. Because the amount of Mini’s I see floating around the place… It’s effective, cheap and on point. Well done, Mini! How crazy hard is Christmas shopping? Whether its what exact socks you’re buying for your Dad, or deciding which sibling is getting the cop-out gift card… It can test even the most purest of consumerists. Mortin use clever guerrilla marketing Ireland’s consumers can really identify with here. Westjet really pulled a winner out of the bag with this one. One of the features of great Christmas marketing, is when the business or product take themselves out of the equation, and let the consumer focus on whats important; themselves. And gifts. Loads of gifts! Because guerrilla marketing is engaging enough as it is. But, when you add in PRESENTS?! Thats awesome guerrilla marketing Ireland’s airflyer’s would love to get involved with! To be honest, who wouldn’t? Collecting up all the wishes of their transatlantic flyers, they set to work in an attempt to make them all come true whilst the passengers were midflight. The hope being that when they touch down at their destination, the present will roll off the baggage carousel for them. Guerrilla marketing Ireland’s airports need to have!